#5515, aired 2008-07-25 Mark Wales vs. Matt Heimer vs. Emily Thorsley Mark Wales game 6. Last game of Season 24. #5514, aired 2008-07-24 Mark Wales vs. James Therry vs. Kathy Krieger Mark Wales game 5. #5513, aired 2008-07-23 Mark Wales vs. Cheryl Grothaus vs. Gabriel Lyon Mark Wales game 4. #5512, aired 2008-07-22 Mark Wales vs. Joanne Infantino vs. Josh Fruhlinger Mark Wales game 3. #5511, aired 2008-07-21 Mark Wales vs. Amy Coffee vs. Daniel Weissman Mark Wales game 2. #5510, aired 2008-07-18 Daria Labinsky vs. Mark Wales vs. Chris Tom Mark Wales game 1. #5505, aired 2008-07-11 Aaron Schroeder vs. Joan Gardiner vs. Carolyn D'Aquila Aaron Schroeder game 6. #5504, aired 2008-07-10 Aaron Schroeder vs. Joan Gardiner vs. Tom Pusateri Aaron Schroeder game 5. #5503, aired 2008-07-09 Aaron Schroeder vs. Greg Bell vs. Liz Basile Aaron Schroeder game 4. #5502, aired 2008-07-08 Aaron Schroeder vs. Fred Henn vs. Arianna Kelly Aaron Schroeder game 3. #5501, aired 2008-07-07 Aaron Schroeder vs. Dave Ruddell vs. Kathy Maurer Aaron Schroeder game 2. #5500, aired 2008-07-04 Darryl Tahirali vs. Aaron Schroeder vs. Heather Colby Aaron Schroeder game 1. #5490, aired 2008-06-20 Dave Simpson vs. Doris Nash vs. Matt Phillips Dave Simpson game 5. #5489, aired 2008-06-19 Dave Simpson vs. Kew Lee vs. Kara Gavin Dave Simpson game 4. #5488, aired 2008-06-18 Dave Simpson vs. Lucy Anne McKosky vs. Jules Staniewicz Dave Simpson game 3. #5487, aired 2008-06-17 Dave Simpson vs. Ginger Beireis vs. Brian MacKenzie Dave Simpson game 2. #5486, aired 2008-06-16 Lowell Goodman vs. Dave Simpson vs. Sujit Roy Dave Simpson game 1. #5483, aired 2008-06-11 Donna Vogel vs. Debbie Barnes vs. Dino Buenviaje Donna Vogel game 5. #5482, aired 2008-06-10 Donna Vogel vs. Emily Ochoa vs. Danny Whitehurst Donna Vogel game 4. #5481, aired 2008-06-09 Donna Vogel vs. Traci Turnbaugh Siegel vs. Brielle Maynor Donna Vogel game 3. #5480, aired 2008-06-06 Donna Vogel vs. Jim Hunt vs. Bret DeLone Donna Vogel game 2. #5479, aired 2008-06-05 Louis Burnoski vs. John Brown vs. Donna Vogel Donna Vogel game 1. #5473, aired 2008-05-28 Larissa Kelly vs. Pat Roche vs. Nan Reiner Larissa Kelly game 7. #5472, aired 2008-05-27 Larissa Kelly vs. Jennifer Goldberg vs. Dan Maggin Larissa Kelly game 6. #5471, aired 2008-05-26 Larissa Kelly vs. Heather Vance vs. John Owens Larissa Kelly game 5. #5470, aired 2008-05-23 Larissa Kelly vs. Sara Orel vs. Will Blashka Larissa Kelly game 4. #5469, aired 2008-05-22 Larissa Kelly vs. Deborah Gronich Tate vs. Judith Koveleskie Larissa Kelly game 3. #5468, aired 2008-05-21 Larissa Kelly vs. Ruth Doucette vs. Brandon LaMarr Larissa Kelly game 2. #5467, aired 2008-05-20 Mary Kay Schmidt vs. Ameet Shukla vs. Larissa Kelly Larissa Kelly game 1. #5466, aired 2008-05-19 Tom Morris vs. Michael Vanderbilt vs. Mary Kay Schmidt Tom Morris game 5. #5454, aired 2008-05-01 Tom Morris vs. Paul Thomas vs. Melanie Harrington Tom Morris game 3. 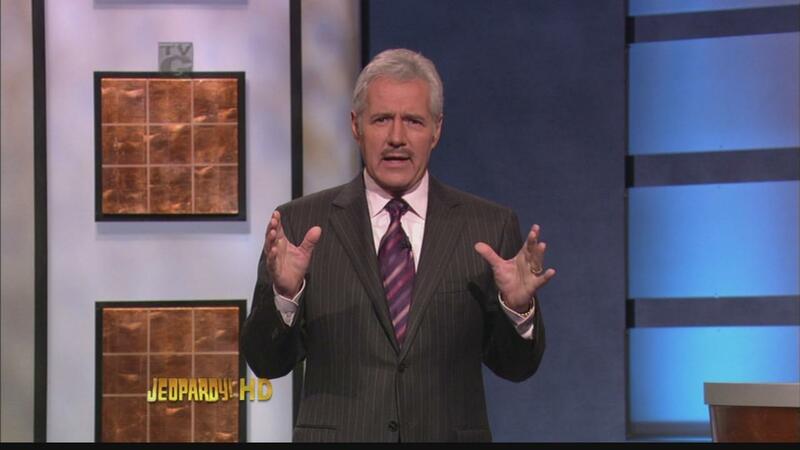 #5453, aired 2008-04-30 Tom Morris vs. Debbie Rothschild vs. Mike Milligan Tom Morris game 2. #5452, aired 2008-04-29 Ric Leach vs. Tom Morris vs. Gilah Pomeranz Tom Morris game 1. #5440, aired 2008-04-11 Deborah Fitzgerald vs. Leslie Feder vs. Mike Corbin Deborah Fitzgerald game 5. #5439, aired 2008-04-10 Deborah Fitzgerald vs. Norah Piehl vs. Sal Turchio Deborah Fitzgerald game 4. #5438, aired 2008-04-09 Deborah Fitzgerald vs. Kyron Rogers vs. Doug Friedman Deborah Fitzgerald game 3. #5437, aired 2008-04-08 Deborah Fitzgerald vs. Jon Folkestad vs. Kathleen Gallagher Deborah Fitzgerald game 2. #5436, aired 2008-04-07 Rich House vs. Deborah Fitzgerald vs. Stephen Wilson Deborah Fitzgerald game 1. 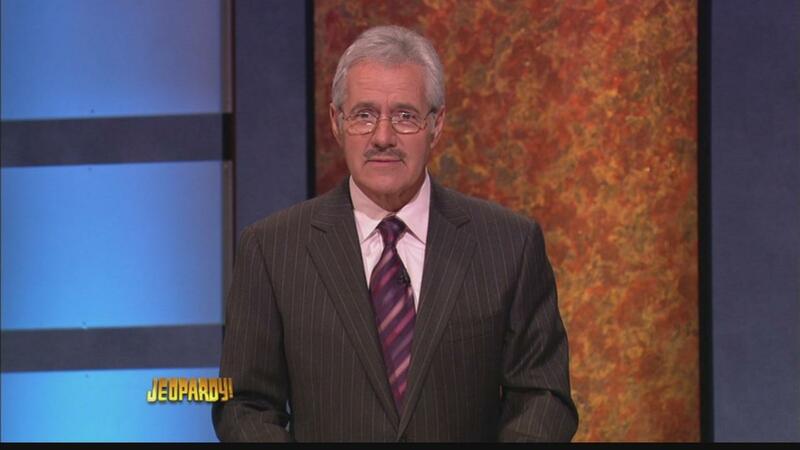 #5432, aired 2008-04-01 Bryan Johnson vs. Jason Molnar vs. Gil Bauer Alex wears a phony mustache for the Jeopardy! Round. #5405, aired 2008-02-22 Zia Choudhury vs. Rachel "Steve" Cooke vs. Rachel Horn 2008-A Teen Tournament final game 2. #5404, aired 2008-02-21 Zia Choudhury vs. Rachel "Steve" Cooke vs. Rachel Horn 2008-A Teen Tournament final game 1. #5403, aired 2008-02-20 Rachel Horn vs. Naren Tallapragada vs. Todd Faulkenberry 2008-A Teen Tournament semifinal game 3. #5402, aired 2008-02-19 Zia Choudhury vs. Hunter Brown vs. Katie Gill 2008-A Teen Tournament semifinal game 2. #5401, aired 2008-02-18 Will Casper vs. Melissa Luttmann vs. Rachel "Steve" Cooke 2008-A Teen Tournament semifinal game 1. #5400, aired 2008-02-15 Bonnie Cao vs. Rachel "Steve" Cooke vs. Todd Faulkenberry 2008-A Teen Tournament quarterfinal game 5. #5399, aired 2008-02-14 Hunter Brown vs. Becky Kralle vs. Naren Tallapragada 2008-A Teen Tournament quarterfinal game 4. #5398, aired 2008-02-13 Maria Bennici vs. Will Casper vs. Katie Gill 2008-A Teen Tournament quarterfinal game 3. #5397, aired 2008-02-12 Rachel Horn vs. Janelle Lambert vs. Melissa Luttmann 2008-A Teen Tournament quarterfinal game 2. #5396, aired 2008-02-11 Zia Choudhury vs. Mollie Haycock vs. Nick Philip 2008-A Teen Tournament quarterfinal game 1. #5363, aired 2007-12-26 Cora Peck vs. Bruce Upbin vs. Patricia Crane Cora Peck game 6. #5362, aired 2007-12-25 Cora Peck vs. Wendell Watkins vs. Deb Brady Cora Peck game 5. #5361, aired 2007-12-24 Cora Peck vs. Stewart Myrent vs. Carolyn Weddell Cora Peck game 4. #5359, aired 2007-12-20 Cora Peck vs. Joseph Maher vs. Marvene Horwitz Cora Peck game 2. #5358, aired 2007-12-19 Kevin Holbert vs. Cora Peck vs. Dave Roberts Cora Peck game 1. #5345, aired 2007-11-30 Lisa Klink vs. Per Milam vs. Ralph Dellanno Lisa Klink game 5. #5344, aired 2007-11-29 Lisa Klink vs. Angela Janis vs. Adam Swensek Lisa Klink game 4. #5343, aired 2007-11-28 Lisa Klink vs. Stephanie Lalonde vs. Chris Kozey Lisa Klink game 3. #5342, aired 2007-11-27 Lisa Klink vs. Heather Fach vs. Andy Anderson Lisa Klink game 2. #5341, aired 2007-11-26 Kate Swenson vs. Penny Asay vs. Lisa Klink Lisa Klink game 1. #5335, aired 2007-11-16 Celeste DiNucci vs. Cliff Galiher vs. Doug Hicton 2007 Tournament of Champions final game 2. #5334, aired 2007-11-15 Celeste DiNucci vs. Cliff Galiher vs. Doug Hicton 2007 Tournament of Champions final game 1. #5333, aired 2007-11-14 Craig Westphal vs. Paul Glaser vs. Cliff Galiher 2007 Tournament of Champions semifinal game 3. #5330, aired 2007-11-09 Cliff Galiher vs. Doug Hicton vs. Andrew Rostan 2007 Tournament of Champions quarterfinal game 5. #5326, aired 2007-11-05 Mehrun Etebari vs. Cathy Lanctot vs. Chris Mazurek 2007 Tournament of Champions quarterfinal game 1. #5325, aired 2007-11-02 Paul Glaser vs. Lucia Macro vs. Kyle Brittain Paul Glaser game 6. #5324, aired 2007-11-01 Paul Glaser vs. Tara Pearson vs. Walter Evans Paul Glaser game 5. #5323, aired 2007-10-31 Paul Glaser vs. Sarah Kulihin vs. Whiton Paine Paul Glaser game 4. #5322, aired 2007-10-30 Paul Glaser vs. Linda Ulery vs. Kevin Hullihan Paul Glaser game 3. #5321, aired 2007-10-29 Paul Glaser vs. Kathleen Lohmann vs. Pat Kennedy Paul Glaser game 2. #5320, aired 2007-10-26 Tracy Martinell Henry vs. Paul Glaser vs. Cathy Thomas Paul Glaser game 1. #5310, aired 2007-10-12 Michelle Cinguina vs. Shay Collins vs. Elijah Granet 2007 Kids Week game 5. #5309, aired 2007-10-11 William Garrett vs. Bethlehem Lema vs. Jackson Ruzzo 2007 Kids Week game 4. #5308, aired 2007-10-10 Braden Corkum vs. Justin Otor vs. Nicole Yoon 2007 Kids Week game 3. #5307, aired 2007-10-09 Charlie Blatt vs. Eddie Kwiatkowski vs. Rachel Millena 2007 Kids Week game 2. #5306, aired 2007-10-08 Kizzle Cote vs. Harry Haghanegi vs. Nicole Karrow 2007 Kids Week game 1. #5286, aired 2007-09-10 Ben Taylor vs. Keli Jackson vs. Dorothy Gilmartin First game of Season 24. New title graphics.